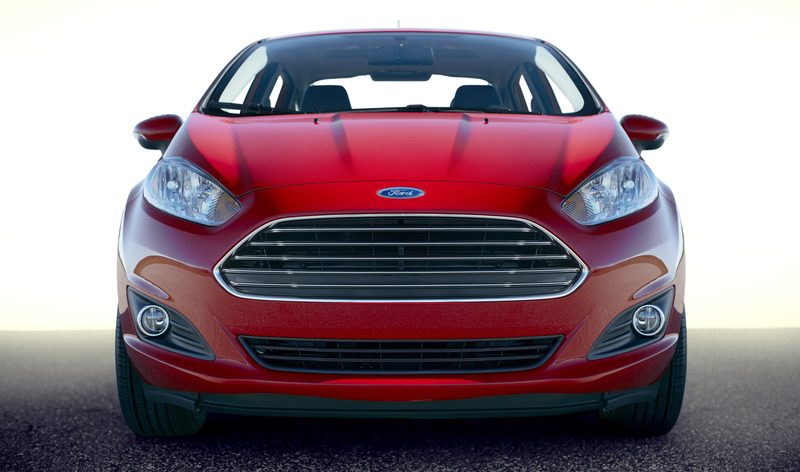 The new Ford Fiesta, which makes its debut at the 2012 Los Angeles Auto Show, will redefine the small car with a projected best 40 mpg-plus fuel economy rating, an exciting new look, and special features and technology that make it the most fun-to-drive car of its size. "Customers want cars that are expressive and fun while offering class-leading fuel economy," says Mark Fields, Ford president of The Americas. 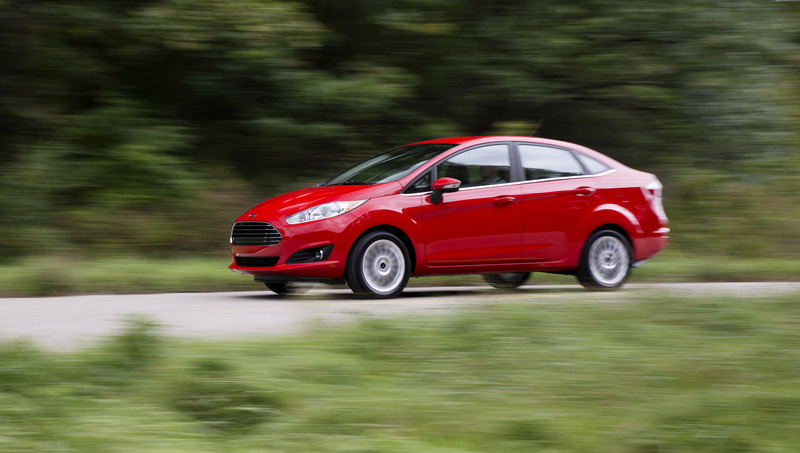 "Fiesta delivers all the excitement drivers are looking for in a car we believe will raise the bar even higher for small cars in North America. 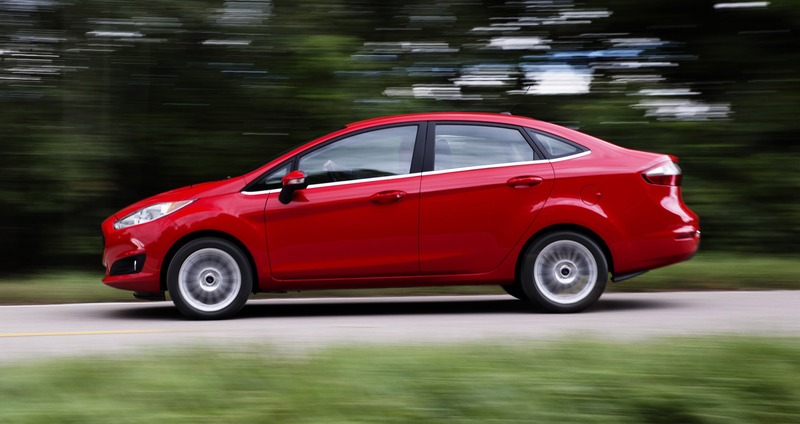 "Our goal with this Fiesta was to take a car that was already a leader in fuel efficiency, performance, connectivity and personality, and make it even better," Fields adds. 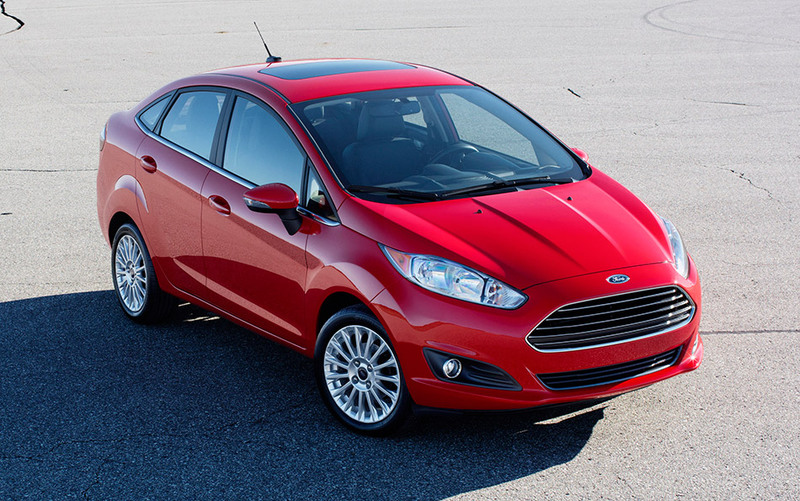 The most dramatic and distinctive Ford Fiesta to date will deliver the best miles per gallon among its rivals, led by Ford's patented new 1.0-liter EcoBoost® engine. This landmark engine, already selected for both the Popular Mechanics 2012 Breakthrough Award and Engine Technology International's International Engine of the Year Award in Europe, is expected to deliver more than 40 mpg. 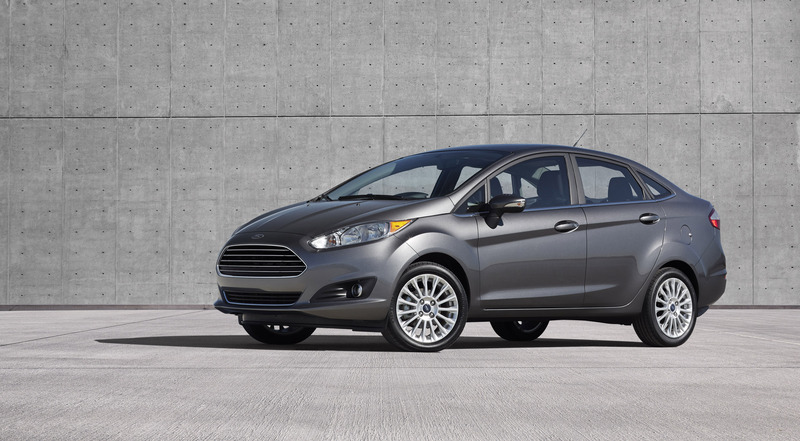 With that, Ford Fiesta is projected to be the most fuel-efficient non-hybrid subcompact in America, and stands as a shining example of Ford's commitment to provide consumers with the most fuel-efficient cars, SUVs and trucks. While the diminutive size of the 1.0-liter EcoBoost saves cash at the pump, it doesn't hold anything back on the road. At 123 horsepower for each liter of engine displacement (the engine's size), the 1.0-liter EcoBoost delivers more power for its size than a Lamborghini Aventador (at 108 horsepower per liter). EcoBoost is fundamental to Ford's strategy to provide technologically advanced, high-output, smaller-displacement powertrains that deliver uncompromised performance and fuel economy. EcoBoost engines deliver fuel economy gains of up to 20 percent and reduction of CO2 emissions of up to 15 percent, compared with larger, less-efficient engines. Ford's leadership with EcoBoost has resulted in more than 125 patents on the technology. Currently, more than 500,000 vehicles have this engine and by 2013 more than 1.3 million will have EcoBoost. 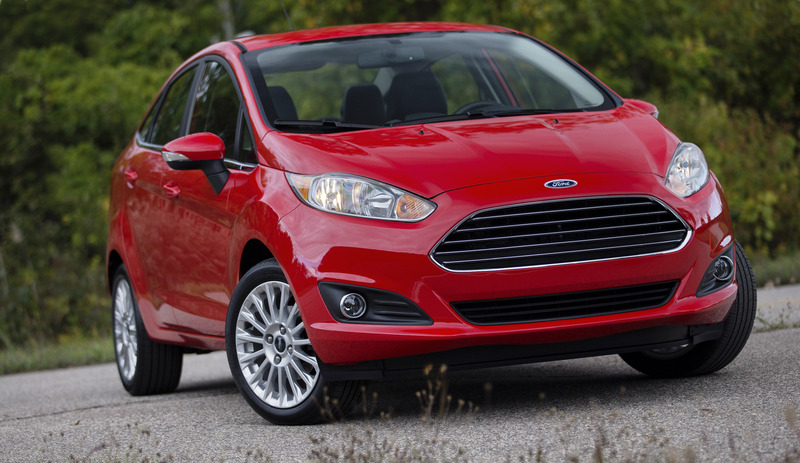 A triple threat of fuel-saving features - variable-displacement oil pumps, polished tappets and coded pistons - appears together for the first time in the 1.6-liter Ford Fiesta, giving drivers maximum miles per gallon without sacrificing driving fun. 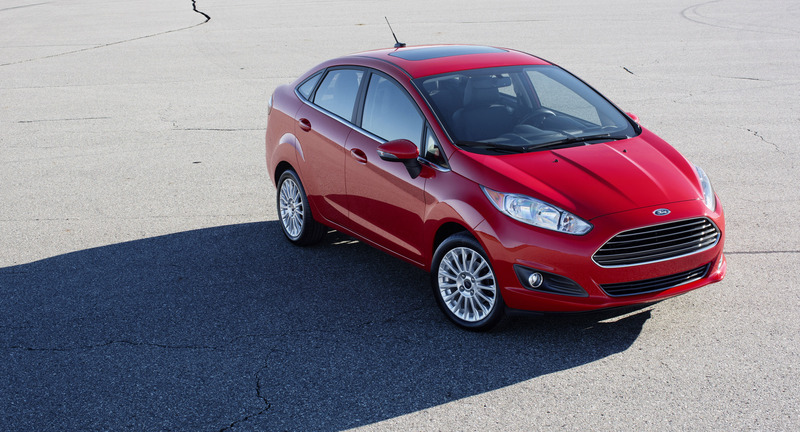 In addition to its new EcoBoost engine, Ford Fiesta boasts a best-in-class suite of technologies and features that give drivers the perfect blend of a connected world and an untethered driving experience. A new MyFord Touch® system with 6.5-inch touch screen that features enhanced voice control is now available, providing drivers more options than ever for navigation, communication and entertainment functions. Ford Fiesta still features SYNC® AppLink™ capabilities pioneered on the first Fiesta, which allows drivers to access and control Ford-approved smartphone apps with voice commands and vehicle controls while on the go, helping drivers keep their hands on the wheel and eyes on the road. Turn-by-turn navigation remains part of SYNC Services. Ford's MyKey® is a new feature on Fiesta, which enables parents in particular to encourage safer driving and limit their teenagers' exposure to risk at the wheel. The system allows owners to configure maximum speed and audio volume limits. It also mutes audio until seat belts are fastened and ensures driver aids, safety systems and more vigorous alerts cannot be deactivated when used. "This car was built for the digital generation," says John Schneider, Ford chief engineer, Upperbody Electronics. "With Bluetooth® connectivity and MP3 capabilities, tech-savvy people who use social media to be constantly connected with the world around them won't be slowed down when they get in this car. "It has always been the belief at Ford that entry-level drivers deserve the best technology," Schneider adds. "We launched SYNC AppLink on Fiesta, and now transitioning to MyFord Touch with this new touch screen enables us to go further in our quest to give drivers the best in in-car electronics." Inside, things are just as expressive. The cell phone-inspired dashboard and available leather steering wheel and seats amplify the modern interior and entice drivers to get in the car and get on the move. A selection of ambient lighting options allows Ford Fiesta drivers to set just the mood they want. Also available is a new Sony HD audio/satellite radio with eight premium speakers for drivers to more fully appreciate their music.